As you grow in your passion for collecting wines, you’ll encounter more and more questions about the beverage. These questions – believe it or not – are more common than you think. Finding the right answer to these questions helps you become a better wine collector and an improved sommelier. Whole Cellar is an expert at proper wine storage solutions. Besides building ideal wine rooms for residential and commercial clients, we have also been asked about wine collections and tasting events. We’ve gathered the top five most frequently asked queries about vino and answered them accordingly. 1. What is the Difference Between Syrah and Shiraz? This question is on the top of our list! Surprisingly, it the most commonly asked question. And, the answer is NONE. Syrah and Shiraz are wines made from the same grape variety. Syrah is a type of grape produced in the northern portion of the Rhone Valley in southeastern France. When the grape arrived in Australia, Australian winemakers chose to call it Shiraz instead. Over the years, the two terms have taken more meaning. Although Shiraz and Syrah are made from the same grape variety, some winemakers tend to use Shiraz to indicate a fruiter style with a richer flavor. Syrah, on the other hand, is used to refer to the version that is more complex in character and has more earthy aromas. However, there continues to be a lot of inconsistencies among wine experts regarding the use of these two terms. 2. Will this Wine Taste Better When Aged? This is quite a difficult question to answer because there are numerous variables to consider, in order to determine whether a wine should be cellared to age or not. A few of the factors to consider are the type of wine, quality of wine, the producer of the vino, and storage conditions. The fact is that not all vinos are meant to be cellared for a long time, but most wines you can find in the grocer are meant for early consumption. For a list of wines that we recommend aging before drinking, click here! Proper storage conditions have a huge impact on whether a wine will taste good after being allowed to age. If you plan to include in your collection wines that need to be aged for a few months to more than a year, you need to invest in the construction of a dependable custom wine cellar. 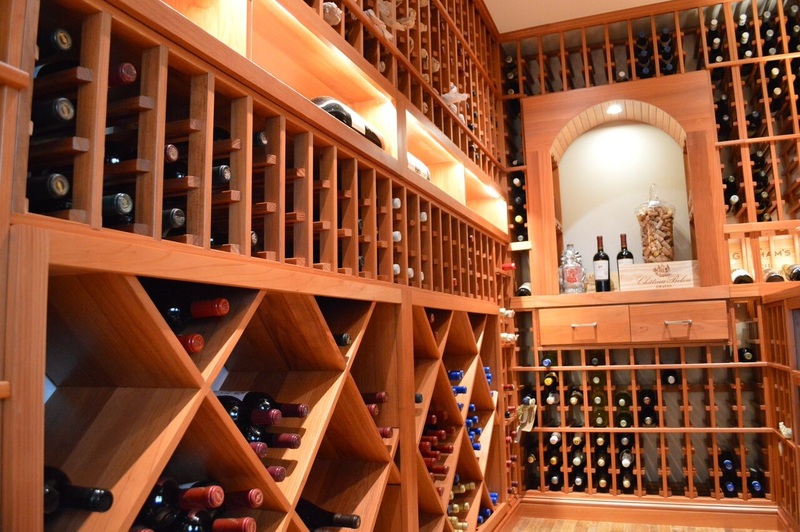 Learn from our experts how to build a residential wine cellar. Click here! 3. Does the Price of a Wine Bottle Reveal its Quality? This is a persistent myth among wine collectors that we’ve repeatedly and consistently tried to debunk. Although price can sometimes be a good indicator of quality, a $300 wine does not necessarily have to taste better than a $20 one. There are a number of wines that are priced high not because of their quality, but because they’re produced by famous winemakers. These popular winemakers have earned their reputation because of the many high-quality vintages they’ve released throughout the years. But, this does not mean all the wines they produce will please your taste buds. 4. What Do the Terms “New World” and “Old World” Mean? These two terms are often used in the wine industry, and the difference between them can be interpreted in two ways: the first is region. 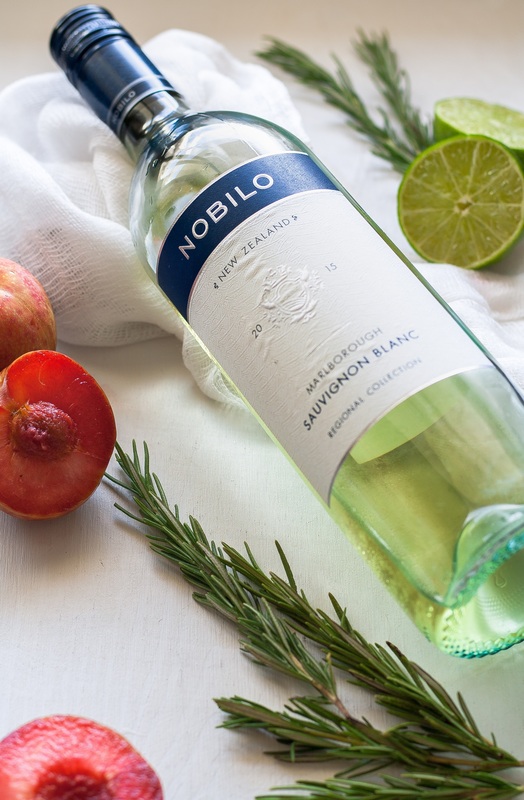 New world wines are those made in North and South America, Australia, and New Zealand. Old words wines refer to vino produced in Western Europe. The second difference between the two terms is style. Old wines are perceived as more restrained and balanced in flavor. They also have a lesser alcohol content, higher acidity, and more earthy notes. New wines, on the other hand, are fruitier and have higher levels of alcohol. 5. Can I Still Enjoy a Bottle of Wine Long After It Has Been Opened? 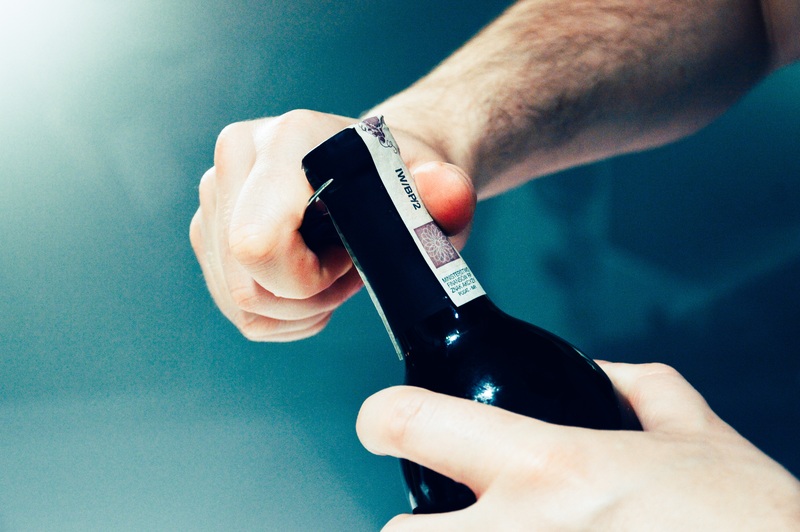 Wine is bottled and sealed immediately after being produced, in order to prevent oxygen from getting in contact with the beverage. When the compounds in wine interact with oxygen, chemical reactions take place that will ultimately lead to the deterioration of its quality. As soon as you open a bottle of wine, you can expect that changes in the wine have begun to happen. For the first few hours, the changes are welcomed. 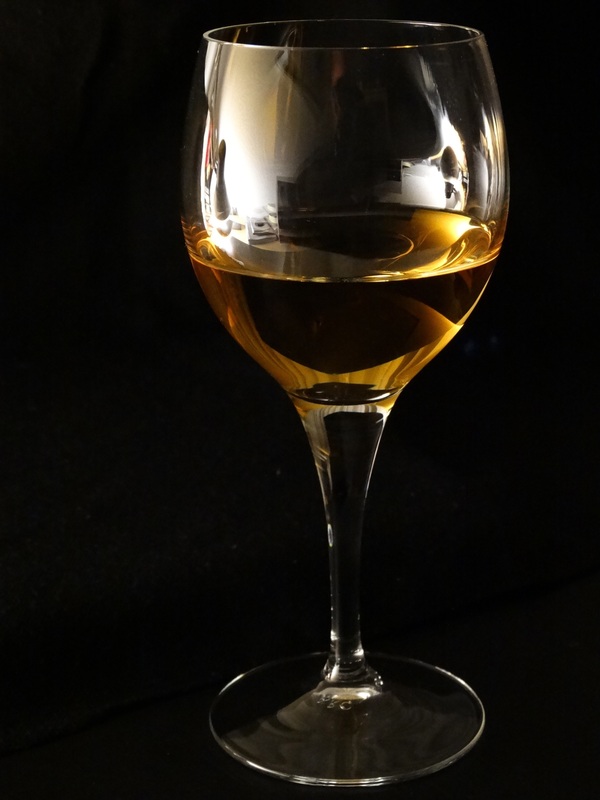 Hard and tannic wines become softer as the liquid intermingles with oxygen. But, if the wine is kept unconsumed for a much longer time period, its flavor begins to fade away and its acidity becomes stronger. This is why, ideally, you shouldn’t open a bottle of wine if you and your guests are not ready to drink it all. There are situations though where you just can’t down an entire bottle of wine, and it just feels awful to throw away a good vintage. In cases like these, you can try a few ways to prolong the lifespan of your opened wine. One way is to store the wine in a vacuum-sealed storage space. A vacuum-like structure will create a barrier between the wine and the oxygen. Another method is the old trick of placing the wine in the fridge overnight. This works because a cooler temperature slows down the oxidation process. You might also consider using the leftover wine for cooking, the subtle flavor remains after the alcohol evaporates. These, though, are only “Band-Aid” solutions, and not cures. 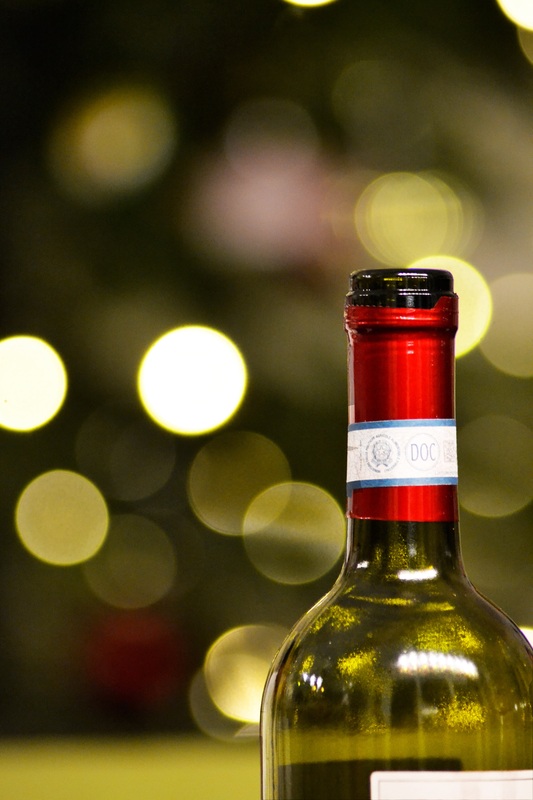 Don’t leave a bottle of wine unconsumed for longer than a day or two. If, even after you’ve tried these suggested temporary fixes, you find that the opened wine tastes like vinegar, throw it away! 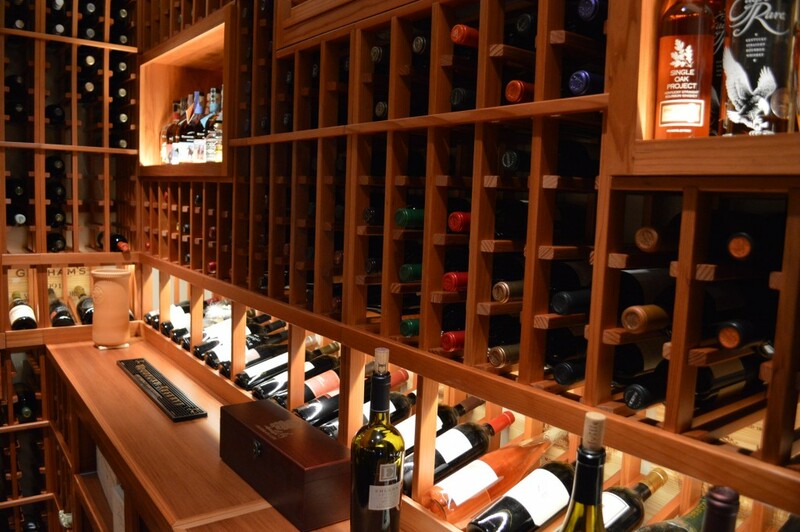 Keep your wine collection in a custom-built cellar designed by an expert! We can provide you with a 3D CAD drawing of your dream wine cellar design for FREE!!! Click here now! Recently, Arctic Metalworks Inc. was contacted by a client in Laguna Beach, Orange County, California. 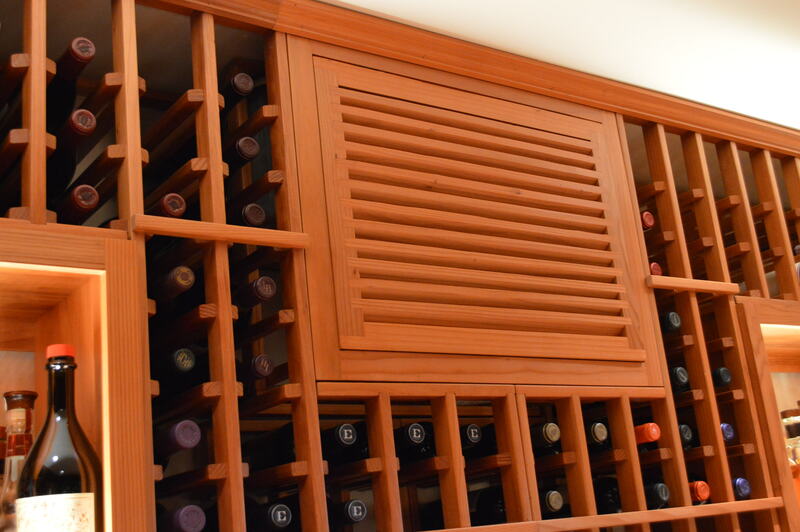 He needed the help of HVAC specialists to install a cooling system for the four custom wine cabinets in his residence. 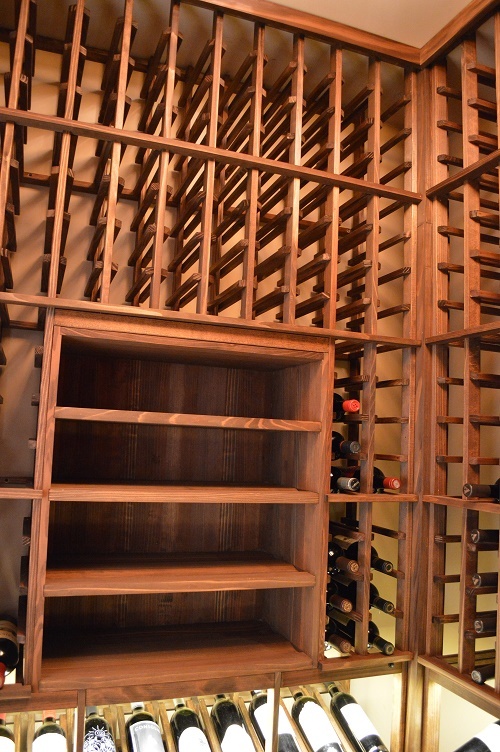 You’ve invested in the construction of a beautiful wine storage space. You’re not stopping there. You know you need to purchase the right cooling equipment for your structure. But, you found out that choosing an HVAC unit isn’t as easy as you thought. Each storage room has different needs, and therefore each one requires a unique kind of refrigeration unit. The client that we, at Arctic Metalworks Inc., recently worked for was a client that had the same dilemma. He had four wine cabinets that needed to have a cooling unit installed. But, since the storage area was small, he needed to find an HVAC system that would allow the use of extra thin ducting. Our team of technicians created a customized refrigeration system that could meet the client’s distinctive wine storage needs. Arctic Metalworks Inc. is one of the most trusted HVAC specialists in Orange County, California. Your wine storage space is just as valuable as your wine collection. That’s why you can’t settle for less when hiring someone to provide services for your structure. You can’t let an amateur HVAC technician tinker with your wine room equipment. For your wine cooling needs, trust only a professional. Contact Arctic Metalworks Inc. The client’s wine cabinets were enclosed by glass doors. There was minimal space inside the storage structure to install any kind of refrigeration system. The HVAC technicians from Arctic Metalworks Inc. set up a cooling system in a separate mechanical room, and had cool air ducted into the wine cabinets. Our team of HVAC experts is well-trained in providing various services for different kinds of refrigeration systems. These services include installation, maintenance, and repair. With years of experience, our technicians have acquired a wide understanding of the storage needs of wine. Our team gives importance to finding the right cooling unit that could meet the unique needs of your storage room. 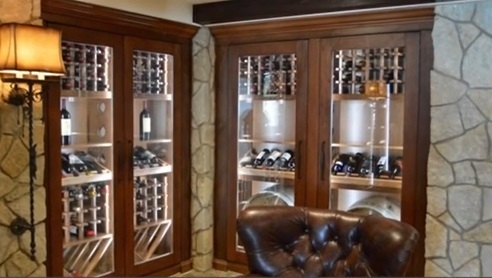 In one of our recent installation projects, for example, our specialists set up a customized refrigeration system for a client who owned four wine cabinets in his luxury home in Laguna Beach, Orange County, California. The Laguna Beach client’s cabinets were all sealed by glass doors. The area inside each cabinet was very small, and there was limited space to vent air in and out of the storage structure. Since standard ducting would not fit inside the cabinets, our HVAC technicians had to find a refrigeration system that would let them use ducting that was smaller than standard size. After surveying the client’s cabinets and assessing its requirements, our team of HVAC specialists installed a Unico High Pressure Cooling Unit. This refrigeration system allowed the technicians to use extra thin ducting, which was appropriate for the limited space inside the wine cabinets. The team of cooling specialists from Arctic Metalworks Inc. installed a Unico High Pressure Refrigeration Unit, which was a ducted split type HVAC system that allowed them to use extra thin ducting. The refrigeration equipment that was set up for the Laguna Beach project was a ducted split type cooling system. In this configuration, the HVAC unit was installed in a separate mechanical room, and cool air was ducted into the cabinets. 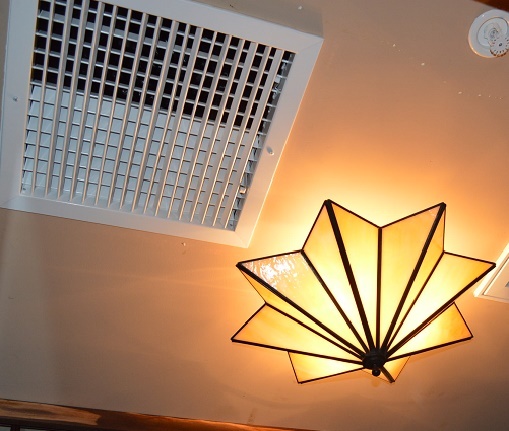 The ducts that were installed in this Laguna Beach project were smaller than standard. This customization of the refrigeration system was necessary to meet the distinctive needs of the wine cabinets. There were two types of ducts installed in this setup, namely: a supply and a return. Supply ducts carried cool air into the wine cabinets, while return ducts exhausted warm air out. Each one of the four cabinets had a supply duct and a return duct. A total of eight ducts were installed. 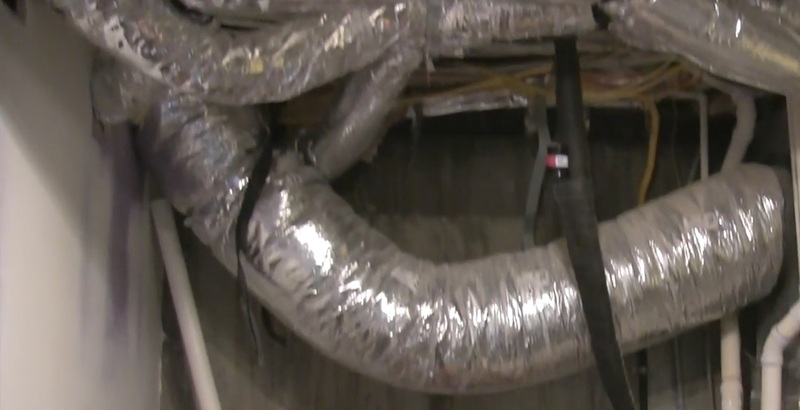 A total of eight ducts were set up in this project. Each of the four wine cabinets were allocated with two ducts. Each pair of ducts had a supply and a return. The supply ducts brought cool air into the cabinets, while the return ducts carried warm air out. The Unico refrigeration system mounted in this project used a high pressure forced air system, which is necessary to push cool air through the special-sized ducting. An ideal wine storage setup is one where the temperature is constantly kept at the right levels with minimal to no fluctuations. In the Laguna Beach refrigeration system installation project, our team included a thermostat and a remote sensor, so that the temperature in the wine cabinets is maintained at 55 degrees Fahrenheit. The thermostat and the remote sensor installed in this project were added, so that the temperature inside the wine cabinets were maintained at the ideal levels. Your wine collection deserves the best – the best storage space and the best cooling system. Thus, it is imperative that the refrigeration equipment installed is the right one for your wine room. To ensure that you have the appropriate HVAC system for your wine storage structure, you must consult an expert. Our expert cooling technicians are more than willing to help you select the most suitable refrigeration system for your wine room. We are also fully equipped to provide you installation and maintenance services. Call us today by clicking here! 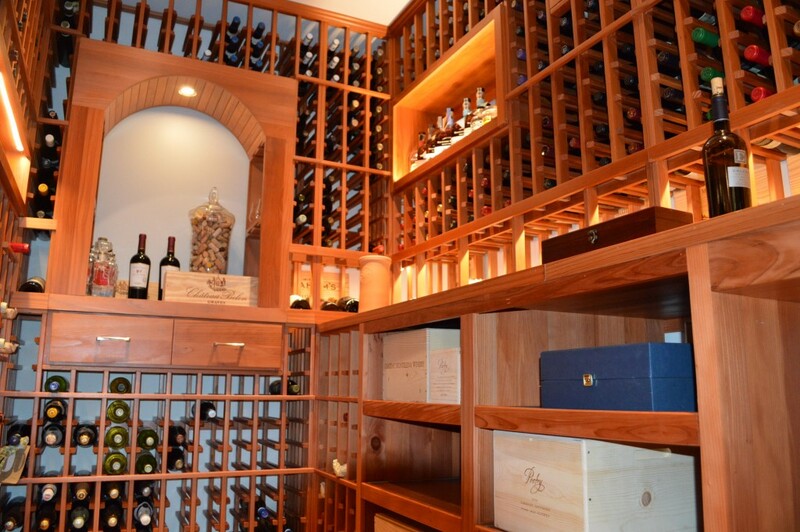 Coastal Custom Wine Cellars is one of the most trusted wine storage builders in California. They recently completed a construction project for a client in Irvine, a city in Orange County. They built a beautiful and uniquely designed residential wine room that can accommodate wines and other types of liquor. The builders used Redwood for the storage structure’s racks and shelves. Coastal teamed up with Arctic Metalworks Inc. for the installation of a ductless split type refrigeration system. There are various types of wood on the market for making wooden wine racks and shelves. The type of wood that a cellar owner chooses will determine not only the durability of the storage structure, but also its aesthetic value. Coastal builds wooden wine cellars from the most popular materials, like Pine, Redwood, Sapele, Mahogany, and Walnut. Get more information about the most popular types of wood used for building wooden wine racks and shelves. Click here! The team of wine storage experts from Coastal decided, together with the client, to use Redwood for the construction of the racking and the shelves. Redwood is a popular choice among homeowners because it is very durable. It has natural oils preserved in it that make it highly resistant to moisture and mildew. A lot of people love Redwood also because of its aesthetic qualities. Its soft earth tone colors are known to develop beautifully over time. Redwood, if kept unstained or unfinished, is still gorgeous. This is why some people choose to use Redwood without any stain or finish. But the Irvine construction project client wanted his wooden racks and shelves to be lacquer finished. He asked the team from Coastal for advice, and the experts agreed with the client that applying a lacquer finish to the Redwood racks and shelves will enhance the color of the material. There are many kinds of finishes on the market. Shellac, polyurethane, lacquer, and varnish are a few of the most common types of finishes for wooden wine racks. Not all of these types of finishes are compatible with all kinds of wood species. 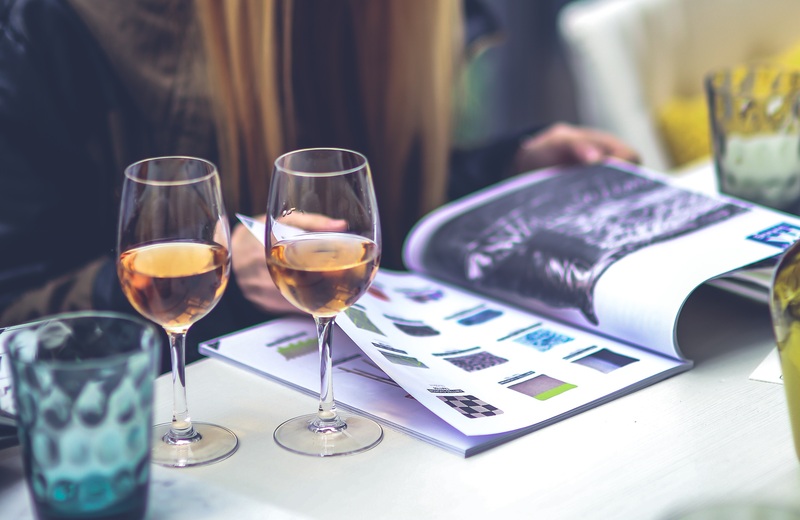 It is imperative to consult with a wine storage specialist regarding the application of stains and finishes, so that the right product can be used. Many people choose lacquer because it is very durable. It is also well-loved because it provides a stunning gloss to the wood that is applied to. As per the request of the client, the expert builders from Coastal applied lacquer on the wooden racks and shelves. The finish made the Redwood’s colors more pronounced, and this made the client very happy. Wood stains and finishes should only be applied by a professional. Find a wine storage expert now by clicking here! One of the reasons why this construction project was successful was the open communication between the client and the builder. The homeowner was freely contributing ideas to the contractors regarding the design of his wine room. For example, it was the client’s idea to install the wood storage cases on commercial rollers. The setup helped the client reach for bottles in the boxes conveniently. Instead of bending down, he simply pulled the shelves out by rolling them across the rollers. Commercial wood cases come in various sizes. 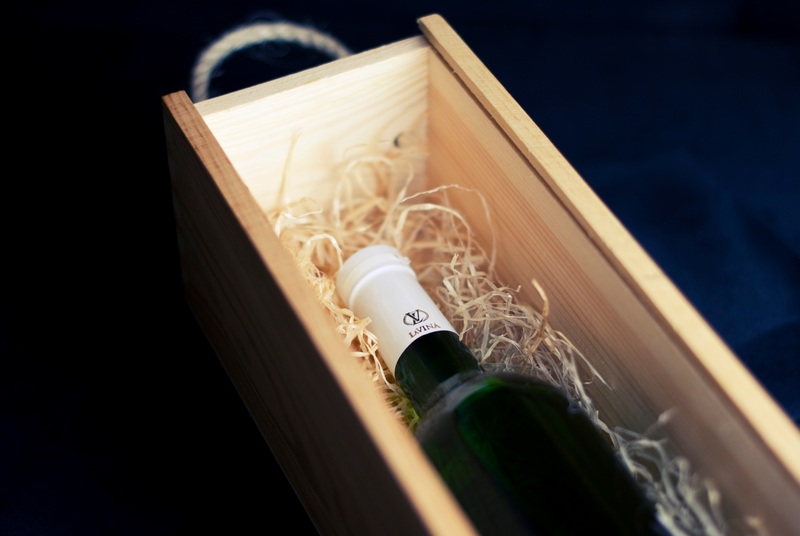 Some of these wooden boxes can accommodate three to twelve bottles, depending on the design. Coastal custom-designed the shelves in the Irvine residential wine cellar, so that the openings were large enough to accommodate wines of varying sizes, including standard champagnes, Oregon Pinots, Shiraz, Turley Zinfandels, and other large format bottles. In one of the cellar’s shelves, a display row accented with LED lighting was added. The client loved the display row not only because it made his wine room look stellar, but also because it provided a convenient way to manage his stock. 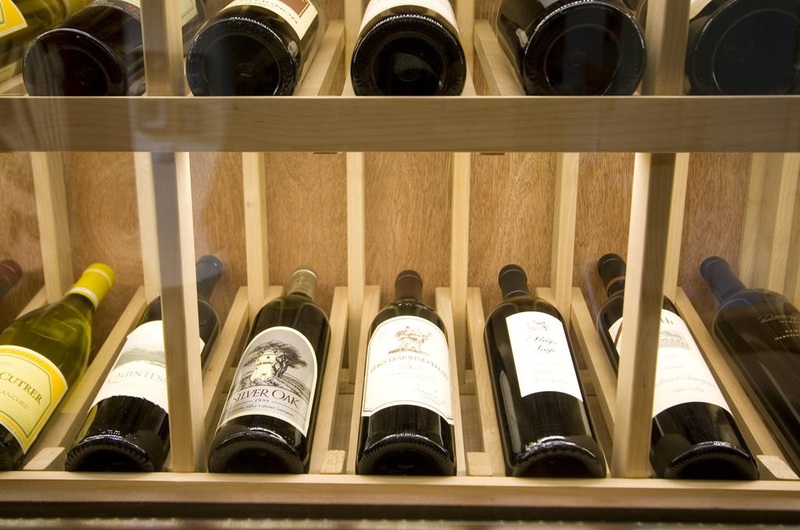 The wines in his collection can easily be organized by storing similar bottles above and below the display row. Originally, the Irvine wine room had a mini cellar on one side, which was intended for storing whites, champagnes, and other bottles that needed to be stored at a cooler temperature. The client gave his mini cellar away some time ago. The area where the mini cellar stood became an empty space. The client called the team of builders from Coastal to come back and construct more single bottle storage racks, which will be used to fill the area where the mini cellar used to be. Have your own home custom wine cellar designed and built by a trusted expert. Contact a wine storage specialist now! Click here! An ideal wine cellar has to have an efficient cooling system installed. Without dependable HVAC equipment, a storage room cannot provide the required climate conditions that are needed to keep wines from spoiling. Custom wine cellars vary in many ways, like size and number of stock stored. These are a couple of the factors that should be considered when choosing a cooling unit for a storage room. Each wine room needs a different refrigeration system, and an HVAC expert should be consulted in order to determine the most suitable equipment for a storage space. 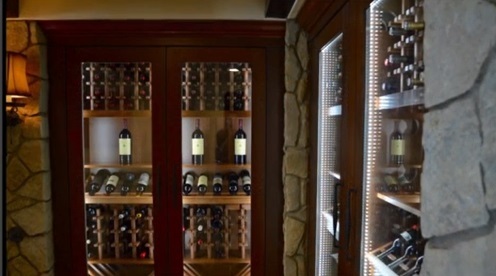 For the Irvine residential wine cellar, a team of cooling experts from Arctic Metalworks Inc. installed a high grade ductless split type refrigeration system. 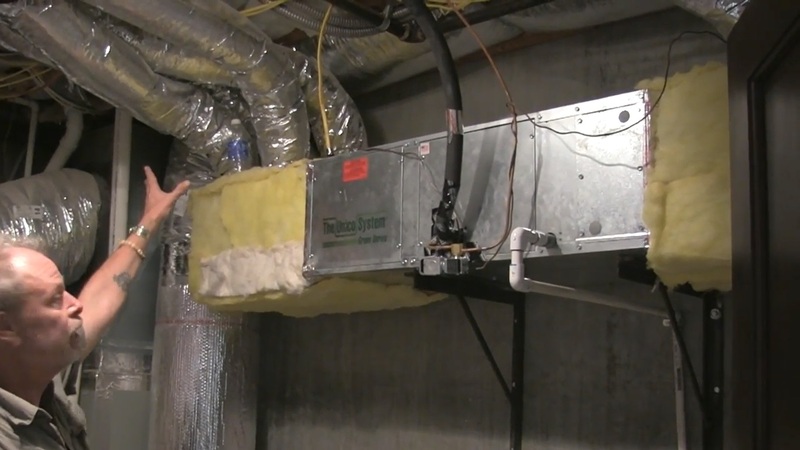 The technicians from Arctic Metalworks installed the HVAC system’s evaporating unit on the cellar wall, and they set up the condenser outdoors. This split type configuration made the client very happy because there was no hot air exhausted inside his house. Moreover, he was pleased that the evaporator operated quietly inside his cellar. The evaporating unit was mechanical-looking in nature. The client did not want the HVAC system to be seen in his wine cellar, and so the builders made a wooden box for the unit and covered it with a louvered grill. The material used for the box and louvered grill was the same wood used for the racks and shelves. Find out what cooling unit is most suitable for your home custom wine cellar. Consult a wine storage refrigeration specialist today! Click here! Wines need a safe haven, where they can age gracefully under the right environmental conditions. There are many available wine storage options in the market today, including wine fridges. You can find many wine fridge products from one of the most trusted wine storage design experts, Blue Grouse Wine Cellars. Listed below are the different brands of quality wine fridge that Blue Grouse offers, and their specs. Vinotheque wine fridges are an ideal choice if you are looking for quality wooden wine storage furniture. Their wine fridges are available in different wood species, depending on the model you choose. Several wood stain options are also offered. The versatility of these wine fridges makes it easy to blend them with kitchen cabinetry and other home furniture. 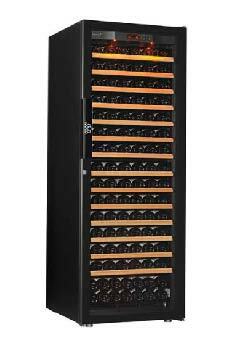 The Vinotheque Closet Wine Fridge model features a display row with LED lighting. It is equipped with a WhisperKOOL 2500 wine cellar cooling unit -one of the most trusted brands of cooling systems. Closet Wine Fridges are available in 3 stain colors (light, medium, and dark). The Wine Reservoir model is the entry-level product of Vinotheque. It is equipped with a WhisperKOOL 2500 wine cellar cooling unit, to maintain the ideal temperature and humidity inside the fridge. It has wire shelving, which maximizes wine storage capacity and grants flexibility in storing various sizes and shapes of wine bottles. Wood choices include Luan and Mahogany hardwoods and veneers. The best thing about Sienna Wine Fridges is that the full length windows and simple structural design make your wine bottles the center of attention. The panels are made of Alder hardwood and veneers, and the racking is made of high quality metal. Optional LED lighting and a display row are available with Sienna Wine Fridges. The main design features of Clos Pegase Wine Fridges is the attractive French windows and intricate dentil moldings. This type of wine fridge comes in 6 sizes that can house various types of wine bottles. Clos Pegase Wine Fridges are equipped with a QT wine cellar cooling unit that operates quietly. They come with a liquid measuring thermostat option, where a probe measures the wine temperature inside the bottle. Wood options include Alder, Red Oak, Maple, Black Walnut, Cherry, and Mahogany. Wood stain options include light, medium, dark, natural, and limed. Wine KoolR wine fridges are an economical wine storage solution with a striking design. Choose this brand if you are in need of a wine storage capacity of 120 up to 800 wine bottles. 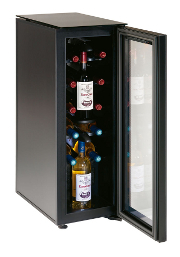 Wine KoolR offers wine fridges in single deep or double deep configuration. They come unassembled, so they are convenient to move to your preferred storage space. Assembly procedure is fast and easy. Assembly service is available for metro Vancouver customers. The KoolR Slimline wine fridges are in single deep format. They are made of a reinforced, stackable, heavy duty honeycomb plastic material that enhances insulating properties and reduces the weight and size of the wine fridge. Color choices include black oak and mahogany wine. The door is a reversible Lexan glass door which can be hinged on either side. It is installed with a keyed lock for security. A virtually silent digital wine cooling unit maintains the ideal temperature and humidity inside the fridge. Double deep KoolR wine fridges have the same design and quality features as those of the Slimline version. 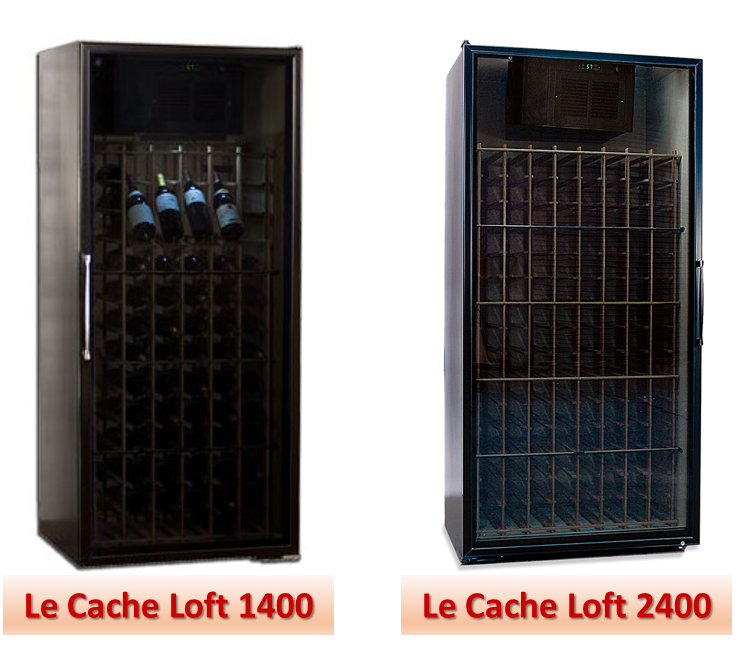 If you are looking for fine furniture for your fine wines, choose Le Cache Wine Fridges. They can easily blend with virtually any décor, or become the center of attention in a room. With Le Cache, you can be sure of top quality craftsmanship, and the fridges can be passed from one generation to another. Le Cache Loft Wine Fridges have aluminum doors, with the choice of two finishes; namely, black matte and brushed aluminum. The door can be hinged on either side. The Loft wine fridges have black laminated walls and dual-pane tinted glass. They feature all-wood universal racking with 3 ¾ inches opening. To maintain the ideal temperature and humidity inside the wine fridge, an ultra quiet CellarPro cooling system is installed, featuring digital display, temperature control, and adjustable humidity control. To make climate control more efficient, a top-vent exhaust, foil-backed polyisocyanurate insulation, and low-heat interior light were used. Vinopro is known for their stylish, functional, and affordable wine fridges. Vinopro wine fridges are one of the best new offerings of Blue Grouse Wine Cellars. 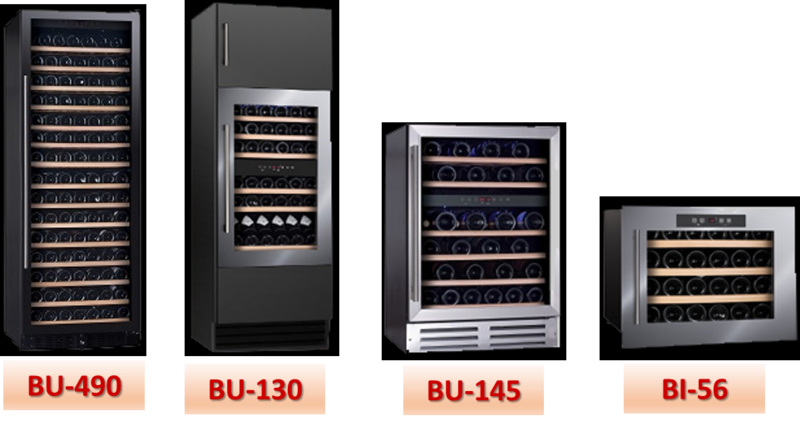 All of the models are available in single and dual temperature models (same price), except for the BI-56 wine fridge, which is available in single temperature only. Enjoy one year full-system warranty and 3 year warranty for compressor. Avid wine connoisseurs choose EuroCave wine fridges for their quality and design. EuroCave wine fridges have unique features that make them stand out among the others brands. This special feature keeps the temperature inside the fridge constant, even when the temperature outside reaches up to 35 degrees Celsius. This is achieved using SRA aluminum walls, which promote the even distribution of temperature, as well as by ensuring that the heating and cooling processes are balanced. Relative humidity is kept constant above 50%, using stucco aluminum walls that distribute moisture evenly. This keeps the cork moist, which in turn maintains an air tight seal for the bottle. EuroCave is built with a CQI cellular insulant, and 5cm cabinet walls. This combination provides solid and effective insulation. EuroCave wine fridges have separate vents, one for air intake, and one for air output. The air intake vent has a charcoal filter for air purification. The alarm system is triggered when the temperature or humidity level goes wrong, or if you simply leave the door open. This lets you know right away that you need to check on your wine storage fridge. The design maximizes the storage space for higher bottle capacity. The durable shelving of EuroCave wine fridges can house wines of different sizes or shapes. All of these wine fridges come with a carbon filter with a meter, a lock, a reversible door, and a brilliant amber lighting strip. These design features, and the wide selection of wine fridge designs, make EuroCave Wine Fridges a favorite among many wine aficionados. Blue Grouse Wine Cellars offers these different brands of wine fridges. Contact them now to choose your own wine fridge. Closet conversion is becoming popular in the design and construction industry. Many home owners are considering having a vacant small or large space in their home converted into something useful. One residential owner in Newport Beach contacted a California wine cellar builder to request help in converting his closet into a custom wine cellar. The client wanted a wine storage and display space that was both functional, and elegant. Vintage Wine Cellars, the California wine cellar builder that the client contacted, came up with a gorgeous custom wine cellar design. It featured a stunning wine rack design to store and display wine bottles, a wine cellar cooling system to cool the wines, a glass wine cellar door, and matching wine cellar flooring. The single bottle storage wooden wine racks store 750 ml wine bottles individually, in cubicles with 3 ¾ inche openings, which are perfect for easy bottle access. The bottle holders on each cubicle are hand sanded, to protect wine labels from scratches. The horizontal display storage with a high reveal display row runs on the entire length of the walls. This feature angles the wine bottles at 15 degrees, keeping the corks moist and the bottle tightly sealed. An LED lighting fixture was also added, to illuminate the angled wine bottles on the display row. 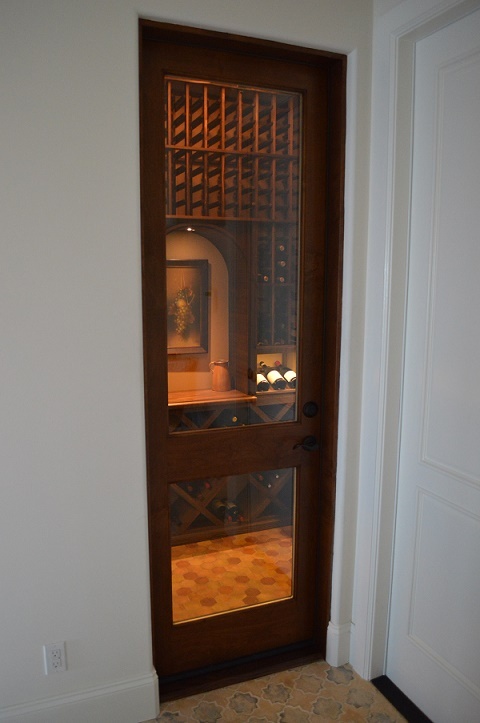 At the center of the wine closet is a tabletop with an archway, where wine pouring or decanting can be done. It features a lovely art piece, which is highlighted by a puck lighting. At the bottom of the tabletop are solid diamond bins, which store wine bottles one on top of the other. Diamond bins are ideal for bulk wine storage. At the side of the wine closet are rectangular bins, which maximize the small storage space. This wine racking style gives the wine collector an option to store wines by group (by variety, origin, size, age, etc.). This wine rack design is a wise option for storing 1.5L and 3L bottles. The wooden wine racks are made of Premium Redwood, one of the best wood types used in the wine racking industry. A dark walnut stain was applied to the wooden wine racks. The natural aesthetic appeal of the stained redwood adds beauty to the wine cellar. The total storage capacity of this wine closet is 840 wine bottles. 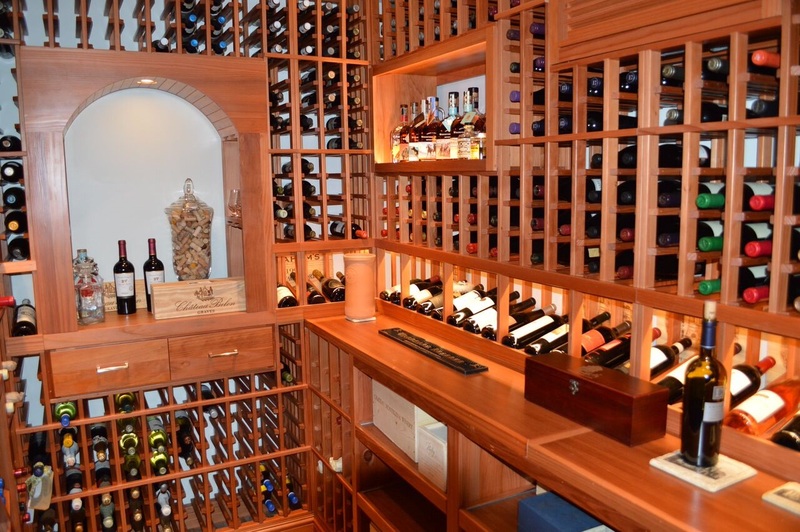 This Newport Beach California wine closet is highly functional, as it is equipped with a wine cellar cooling system. This maintains the right balance of temperature and humidity inside the wine closet. Vintage Wine Cellars installed a fully ducted wine cellar cooling unit from Wine Guardian. It is a self-contained wine cellar cooling system, and it can be installed either indoors or outdoors. For this Newport Beach California wine closet, the cooling unit was installed indoors, in the attic located just above the wine cellar. The wine cellar cooling system is assembled in a platform with a drain pan. The duct system of this wine cellar cooling unit supplies cool air into the wine cellar and exhausts hot air outside. A louvered grill that matches the wooden wine racks covers the cooling unit. 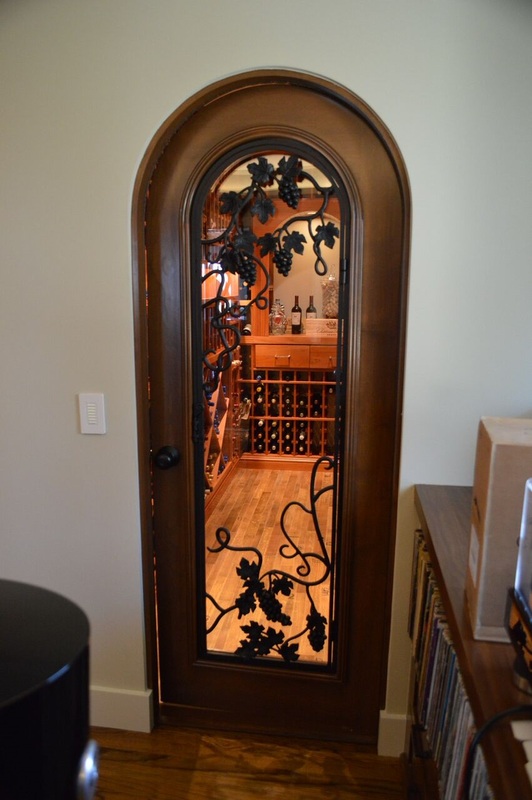 The cellar door used is a Barolo style dual-paned glass wine cellar door. This entryway has two door openings, and it has certain features that ensure a tight seal to the room, and these include weather stripping and a concealed door bottom. The wine cellar door was coated with a Chestnut wood stain, creating a beautiful contrast against the Premium Redwood wine racks. To enhance the look of the wine cellar, the owner chose a unique tile flooring. The color scheme of the flooring matches charmingly with the wooden wine racks. 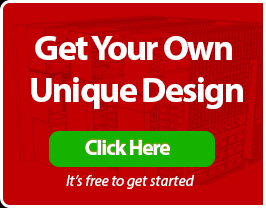 Get Started with your Own Wine Cellar Design! Vintage Wine Cellars did a great job completing this Newport Beach California wine closet renovation project, considering the limited space their team had to work on. Vintage Wine Cellars specializes in wine cellar design, installation, renovation, and even maintenance, for both residential and commercial locations. If you have a custom wine cellar project in mind, whether in Southern or Northern California, just contact Vintage Wine Cellars California Wine Cellar Builder for a free design consultation. Visit their page at http://www.vintagewinecellars.com/. Wine needs an effective wine storage solution. If you plan to start a wine collection of your own, you should invest in a good wine storage solution. 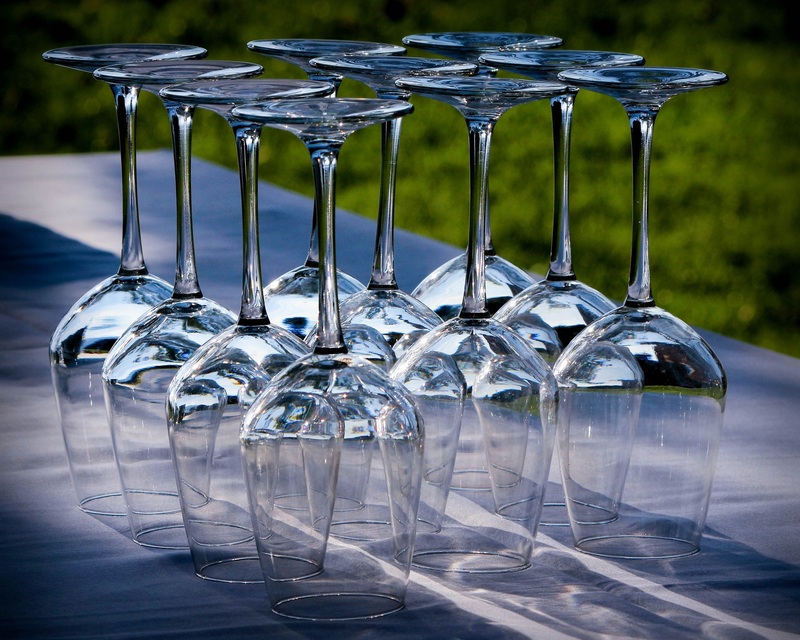 Here are some tips when starting your own wine cellar in Orange County, California. There is no point to starting a wine collection if you do not have an effective wine storage solution. Wine is a beverage that can easily go bad if it is not stored properly. Among the different kinds of wine storage solutions, a wine cellar is the most ideal type. Have a wine cellar built in your own home, to make sure that your wines are safe and aging tastefully. This article will discuss a few of the Dos and Don’ts when it comes to starting a residential wine cellar in Orange County, California. One of the essential considerations when planning to build a wine cellar is how big you want to be. The size of a home custom wine cellar depends on how much room you need for wine storage. Have a realistic estimate of the amount of wine you intend to collect. Some people are satisfied having 5 to 10 bottles, but there are those who collect upward of a thousand wines. It is also recommended to anticipate the growth of your wine collection. 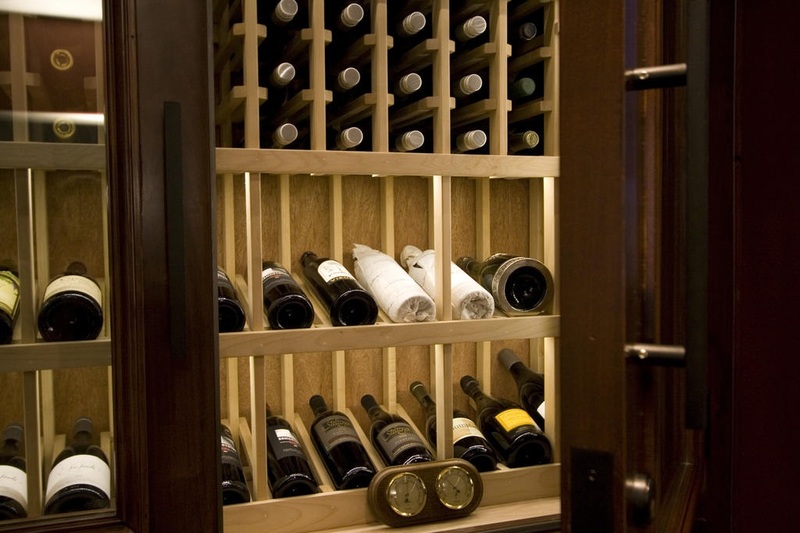 Build your wine cellar with adequate space to accommodate a growing wine collection. Generally, most people need more space than they first thought. A climate controlled environment is a vital aspect of proper wine storage. Fluctuating temperature and humidity levels are one of the worst enemies of wine. Regardless of how expensive your temperature control equipment is, or how efficient your wine cellar cooling unit is, if you have not applied proper insulation within your wine storage room, you can never achieve consistent temperature and humidity levels. The mylar or bubble wrap insulation is becoming more common these days, because it has no nasty glass fibers for your to worry about, and it gives a good R rating without taking up much volume. Ideally, there are two common methods for applying vapor barriers and insulating wine storage rooms, and these are spray foam or a 6 mil vapor barrier and fiberglass batts. 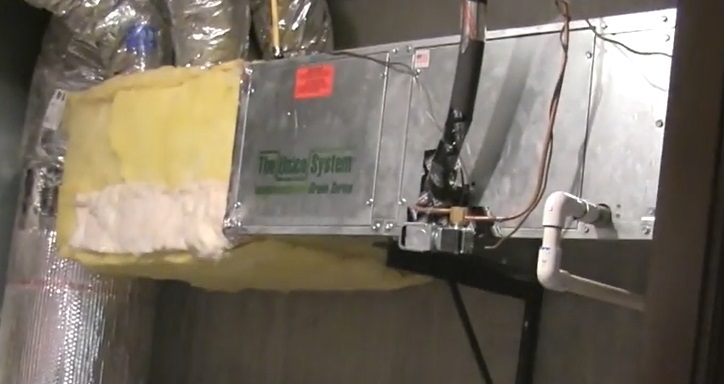 Although spray foam is more costly, it does prevent any possibility of puncturing a vapor barrier by a screw, running wire or with plumbing inserted during the cellar construction. 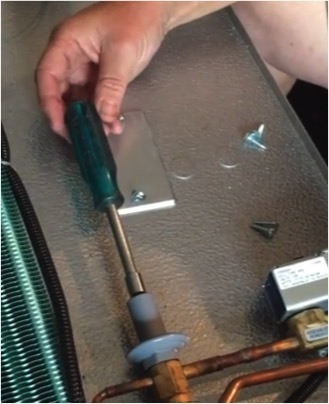 With non-shrinking closed cell spray foam, screws or any object that punctures will not compromise the enclosure. The foam will simply expand to fill all the crevices, to ensure a tight seal in the wine storage room. There is no need for a 6 mil vapor barrier when using spray foam. Regardless of what method you use, make sure that there are no air gaps in between the insulation and drywall. Many wine experts advise novice wine collectors not to start their wine collection for aging wines. Instead, start a collection for drinking, or else you will be stealing from your future stocks as early as the first year from when you started. Moreover, make sure that at least some of the wine in your residential custom wine cellar is for guests and not just for your own enjoyment. You want to make sure that when you have friends and guests visit, you can entertain them with some of your wine. Lastly, your collection should include both wines that are ready to drink, and wines that are to be opened when they have reached maturity. It is said that when you start your wine collection, start first with wines that appeal to your taste. You do not need to rely on reviews and other people’s opinions of what good wine is. Although this is true, you should keep in mind that your taste in wine will change. It is important to make sure to leave room for whole new regions and styles of wine. But then again, just like tip number 4, keep in mind not to stock too heavily in any one area. When choosing wine racks for your custom wine cellar in Orange County, California, choose those that can cater to wine bottles of different sizes. It can be very frustrating to buy a case of magnums, Champagnes and other large-sized wine bottles, only to find that you wine racking system can only cater to regular sized wine bottles. Wines are easily damaged by heat. Therefore, it is imperative that you do not have your home custom wine cellar built in an area close to a source of heat, like a water heater or a stove. Consider carefully the location of your wine cellar before beginning its construction. Too much vibration is another thing that can negatively affect your wines. 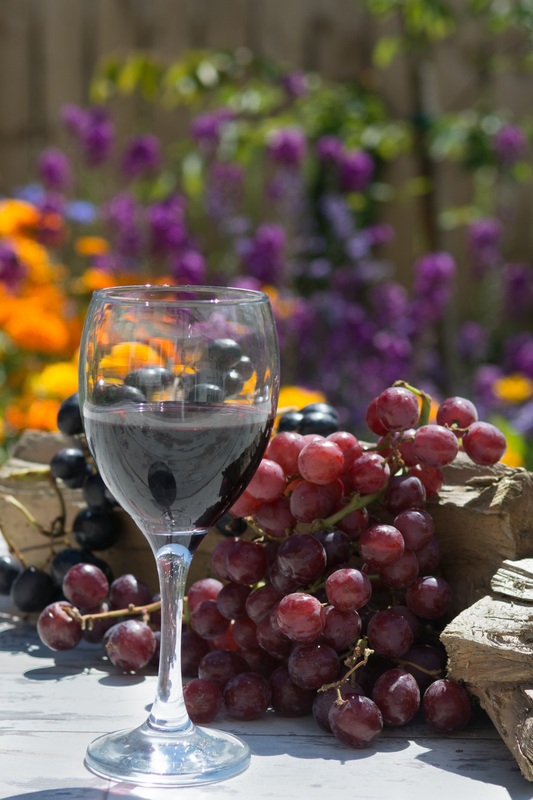 Although not disastrous, too much vibration will keep the wine from aging well, because the process of long chain polymerization will be interrupted. Do not build your wine cellar near any appliance that produces vibration, like a washing machine. Also, wine cellars should ideally be constructed away from the area in your house where the center of activity is going on, like the living room. This is something that is commonly overlooked when designing a wine cellar in California. Off smells can permeate the corks of wine, and alter its flavor negatively. Never store any paint, thinner, or any chemicals with foul odors near your wine. Also, the stains and finishes you choose to apply on your wine racks shouldn’t exude any strong odors. Besides making sure that your wine cellar in Orange County, CA is functional, you should also give importance to its design. The aesthetic appeal of your wine cellar should be part of the considerations during the planning phase of your wine cellar construction. 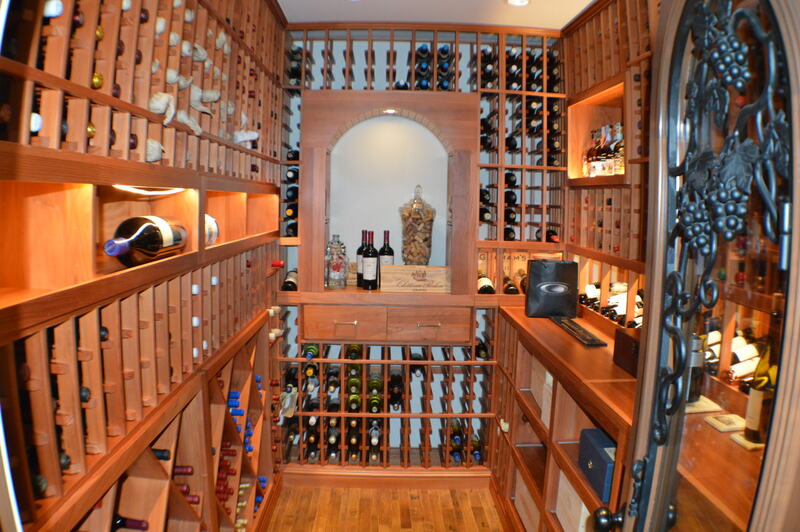 Have your wine cellar designed by a professional. US Cellar Systems, a California based wine cellar manufacturer that we work closely with recently announced an important new innovation in one of their commonly used components. The LRC Expansion Valve is now externally equalized. Learn how this is to be installed and some of it’s performance advantages. The LRC Expansion Valve looks almost like a pressure regulator, mounted inside one of the US Cellar Systems refrigeration system for wine cellars. It is a common component in all of the series offered by US Cellar Systems, except for the CC series. 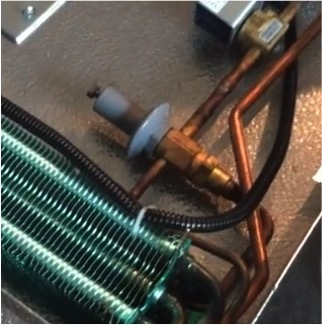 Wine Cellar Refrigeration Technical Update – New LRC Expansion Valve Saves Time and Effort This valve is now externally equalized. This gives the system better performance on all of the systems and makes it more convenient to adjust. When installing, add a T with an access shrader. This has a key advantage. You will be able to measure your evaporator coil pressure at the evaporator, instead of having to go all the way out to the condensing unit to look at your gauges. This makes adjustments to your system much more convenient. Use a 3/8” nut driver or a ratchet and a 3/8” socket. You can adjust the valve by turning the head on the top of the regulator. To increase pressure you turn clockwise. To decrease pressure you will turn counter-clockwise. Caution! Remember to make small adjustments. Never go all the way in with the adjustment. If you go too far in you can damage the diaphragm and then the expansion valve will no longer adjust. This damage will not be covered under warranty, so be very cautious when making adjustments to prevent such harm to the system. If you’re in need of technical support for your wine cellar refrigeration system, contact US Cellar System here: +1(562) 728-5774. If you’re interested in purchasing one of their systems, feel free to contact sales and customer support: +1(562) 513-3017. This new expansion valve has important advantages; they can give you more information about it if you’re interested in learning more. Wines are one of those rare commodities that require a consistent and stable environment, in order to preserve and improve their quality over time. Wine cellars are specially designed to provide the best climate conditions for storing and aging wines. To maintain the ideal wine storage temperature of 55°F to 58°F, a wine room must be outfitted with insulation and vapor barriers, as well as equipped with the proper wine cellar cooling system. A wine cellar refrigeration unit is engineered to help stabilize temperature and humidity levels in a wine storage environment. There are three main categories of climate control systems: through-the-wall self-contained cooling units, ducted self-contained refrigeration systems, and split systems. Each make and model has its own unique features, but all are designed to efficiently cool a wine cellar. To ensure optimum wine cellar climate conditions, it is crucial to have your wine room fitted with the right type of Orange County wine cellar refrigeration system. There are several factors that should be taken into consideration when deciding on a climate control system, such as size and location of the wine cellar, amount of insulation, ambient conditions, and the number of wine bottles intended for storage. This recently completed Orange County wine cellar refrigeration replacement project shows the importance of providing your wine cellar with the proper wine cellar cooling system. This project was serviced by Arctic Metalworks, Southern California’s leading manufacturer and supplier of commercial grade wine cellar refrigeration systems. Initial inspection of the wine storage space shows that the existing cooling unit, a through-the-wall breeze air style refrigeration unit, is not capable of cooling a large wine cellar (10’ x 6’). The homeowners also complained that the unit was blowing hot air and noise into their living space. The Arctic team recommended removing the existing refrigeration equipment and replacing it with one of their wine cellar refrigeration systems, Arctic 0050 ½ HP split system. A split system wine cooling unit is considered as one of the most efficient cooling option. This type of climate control system is designed to be unobtrusive and quiet. A split wine cellar refrigeration unit houses the evaporator coil and the condensing unit separately. Separating both components allows for flexibility in installation and helps eliminate noise. The evaporator coil is mounted in the wine cellar, while the condensing unit can be located outdoors or in a well-ventilated adjoining room. For this refrigeration replacement project, the Arctic team installed the condensing unit outdoors. The unit sits on a 24 x 24 air conditioning pad. Arctic Metalworks created a custom-designed sheet metal cover to protect the condensing component of the refrigeration system against the rain and other harmful outside elements. The Arctic team used refrigerant lines to connect the outdoor unit to the indoor evaporator coil. Refrigerant lines are a set of tubes or pipes that transport refrigerant through a wine cellar cooling system. The suction line is responsible for transporting gaseous refrigerant, while a liquid line carries refrigerant in its liquid form. A drain line is also needed to remove water that is produced during the dehumidification process. Arctic Metalworks installed a digital room thermostat with backlit display. 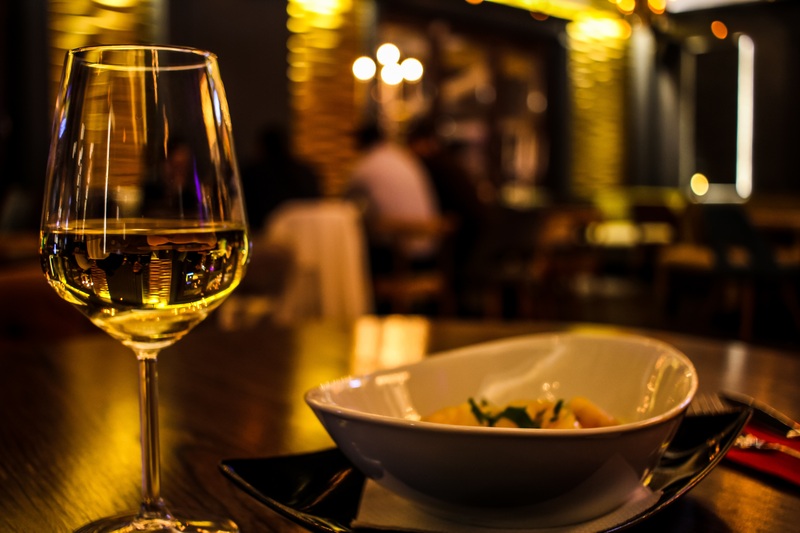 Thermostats are control systems that help maintain the correct temperature in a wine room, and at the same time allow wine collectors to regularly monitor the climate conditions inside their wine cellar space. The entire climate control system runs on 115 volt/ 20 amp electrical receptacles. After inspecting the refrigeration equipment for leaks, the Arctic team started the system and charged it with R134a, a type of refrigerant that is non-ozone depleting and is completely safe for the environment. When deciding on a wine cellar refrigeration unit, always consult with a wine cellar refrigeration expert. They will perform a heat load calculation to determine the best cooling option for your wine enclave. Professional refrigeration experts will also take into account any constraints in your storage space, as well as your specific preferences to ensure that the cooling unit will suit the conditions of your wine room. Arctic Metalworks is a family owned and operated multi-division company that designs and builds Orange County wine cellar refrigeration systems for both residential and commercial applications. The company also specializes in wine cellar construction and renovation, as well as handmade wine racking systems. The Arctic team has carved out a name for themselves as a leading manufacturer of commercial grade quality climate control systems and providing professional prompt service. They have a full service team of refrigeration specialists and technicians on standby should your cooling system require maintenance or repair. To keep your wine collection safe, you need to have a wine storage solution built. Your wine storage solution does not have to be dull and boring. Your wine storage space can be both functional and aesthetically pleasing. One way you can make a wine cellar more interesting is by choosing a beautiful wine racking system. One of the most elegant wine racking systems in Vancouver, Canada is Vintage View Wine Racks. In the past, wine was something that only the rich could acquire. More specifically, only those with royal blood could enjoy wine on a regular basis. But these days, almost everybody has easy access to wine, and what’s more, almost anyone can start their own wine collection. If you are one of those who wish to start their own wine collection, you need think about having a place to keep it. Wines are very delicate, and they need to be stored in very specific temperature and humidity levels in order for them to remain at a good quality. There are various ways you can store wine, but the most ideal storage solution in Vancouver, Canada, is a residential custom wine cellar. As more and more people in Vancouver, Canada are starting their own wine collection, many of them are having wine cellars built. More specifically, they are having their wine cellars constructed in their own homes. Since a lot of homes now have their own residential wine cellar, it is a challenge for new wine collectors to make their wine cellar stand out from the rest. One way to make a home custom wine cellar unique is by choosing what kind of wine racks to install. One of the most unique and beautifully designed wine racking systems is the Vintage View Wall Mounted Wine Racking System by Blue Grouse Wine Cellars. What are Vintage View Wall Mounted Wine Racks? There are many kinds of wine racking systems in Canada. They vary in sizes, shapes, designs, and materials. One of the most beautiful types of wine racking systems is the Vintage View Wall Mounted Wine Racking System. This kind of wine rack allows wine bottle labels to be visible, because the bottles are positioned horizontally, unlike in the traditional wine racking setup wherein only the wine corks can be seen. Also, what makes Vintage View Wall Mounted Wine Racks a great option is that they are built in such a way that they can be stacked or cut for the perfect fit in almost any wine storage solution. Blue Grouse Wine Cellars is one of the leading companies in Vancouver, Canada, that designs and builds effective, durable, and beautiful wine cellars, both for residential and commercial purposes. One of Blue Grouse’s most recent projects is a contemporary looking home wine cellar built in Vancouver, Canada. The area in the client’s home to be turned into a residential wine cellar was an L-shaped room. One of the biggest challenges faced in this project was the limited space, and Blue Grouse dealt with this by renovating the entire room and created inset cubbies. These inset cubbies were built into the room’s wall; the wine racks were placed in these cubbies. The wine racks were made to be even with the cubbies, and did not stick out past the depth of the walls. 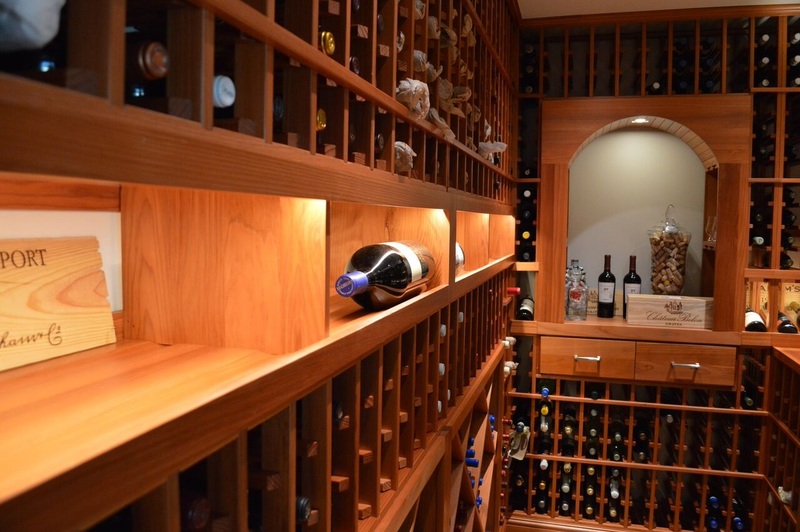 One of the best features in this residential wine cellar is the wine racking system that was installed. Blue Grouse Wine Cellars mounted Vintage View Wall Mounted Wine Racks, with brush nickel finish applied. The racks in this particular wine cellar were 3 bottles deep. Although you may choose from 1-bottle to 3-bottles deep options with Vintage View Wine Racks, all three options vary slightly in price. Since their prices aren’t very different from each other, most wine enthusiasts choose to have their wine racking system at 3-bottles deep, so that they can opt to expand their collection should they want to in the future. 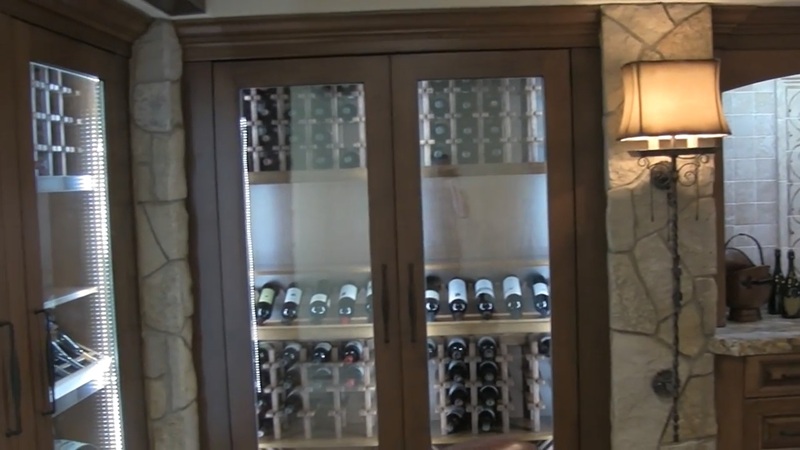 The racks in this home wine cellar were front-loaded, but should the wine collection expand, each rack still has 2 more wine bottle slots available. At the corner of the residential custom wine cellar room, a little display area was included. Wooden cases can be placed in this display area. Blue Grouse Wine Cellars is one of the primary suppliers of Vintage View Wall Mounted Wine Racks in Vancouver, Canada. Vintage View Wine Racks come in various custom color options, that range from satin black to brushed nickel standard finishes. Compared to other types of wine racking systems, Vintage View Wall Mounted Wine Racks provide more bottle density and offer a safer wine storage solution because of their rugged steel design. Vintage View Wine Racks are built in such a way that air can flow through the racks around each wine bottle, and evenly distribute the wine cellar’s cool temperature to every bottle. This design feature makes Vintage View Wine Racks ideal for long term wine storage. Compared to standard wine racking systems, Vintage View Wine Racks are relatively easy to install. But if you prefer to have a professional install them for you, Blue Grouse offers installation services for these racks too. Their installation services are available for customers who are within the Vancouver lower mainland area. Vintage View Wine Racks are also relatively easy to maintain, and can last a very long time if maintained properly. Blue Grouse offers a limited lifetime guarantee for their Vintage View Wall Mounted Wine Racking System. Blue Grouse supplies Vintage View Wine Racks outside of the US and has them manufactured abroad. Clients in Canada will incur freight charges, as well as duty and brokerage fees, on top of the racking system’s selling price. Blue Grouse makes these wine racks less costly by importing them in bulk quantities, and keeping them in their warehouses located in North Vancouver, BC. Although Blue Grouse is based in Canada, they have clients in the United States, and these clients have their Vintage View Wine Racks shipped directly from the supplier in order to avoid import fees. A shipping charge will apply, which will be quoted depending on the client’s location. For more information about Blue Grouse Wine Cellar, and their products and services, call them today at +1 (888) 400-2675.